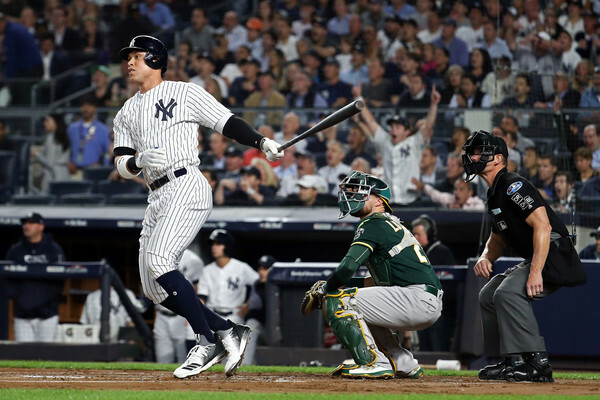 Oakland had a helluva year – but the Yankees and the power of Aaron Judge put a quick ending to it on Wednesday night in the Bronx. Things got kicked off early by Judge in the bottom of the first. From there, the Yankees just kind of ran away with things. Luis Severino was very good. I expect the Yankees to give the Red Sox all they can handle in the ALDS. Baseball needed that series.